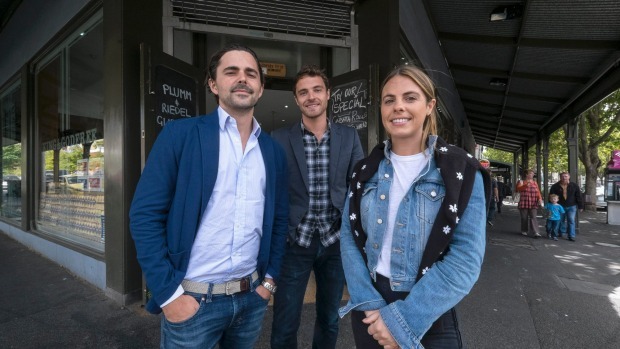 After being shuttered for three years the Valmorbida family is set to reopen iconic deli King & Godfree as part of a new multi-level food, drink, retail and office precinct. 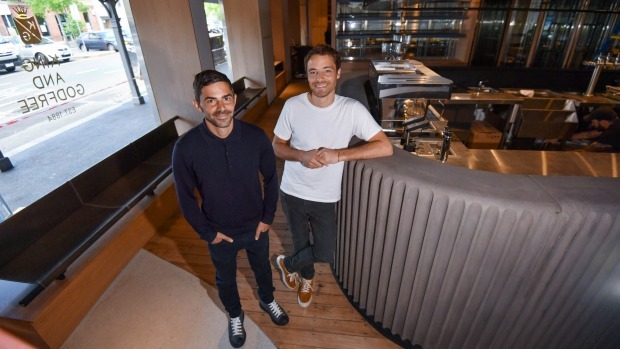 "King & Godfree is the missing piece of the Lygon street puzzle," say 36-year-old Luca Sbardella and 33-year-old Jamie Valmorbida. King & Godfree first opened its doors in 1884 and the Valmorbida family has owned it since 1955 with cousins Sbardella and Valmorbida the third generation of their family to be entrusted with running the business. It is reopening as a food ‘precinct’ or Italian market over three levels including K&G Gastronomia Deli & Espresso Bar, Agostino & Cellar Bar, roof top bar Johnny’s Green Room and Pidapipo Gelateria. The redevelopment has not been easy with the family starting the process in 2013 and shutting the doors in 2015. "There have been a lot of challenges dealing with a heritage building and the planning side of things took a lot of time and our builder went into administration at the start of the year," Valmorbida says. "It would have been a lot easier to bulldoze the building and start from scratch." The cousins say they have learnt a lot from the redevelopment which the family has poured more than $5 million into. "Once you have failed a million times you are an expert," says Sbardella. "We have been lucky because we sort of pushed our parents into this project and they have been really supportive the whole way." There was the opportunity to take the project in a vastly different direction. 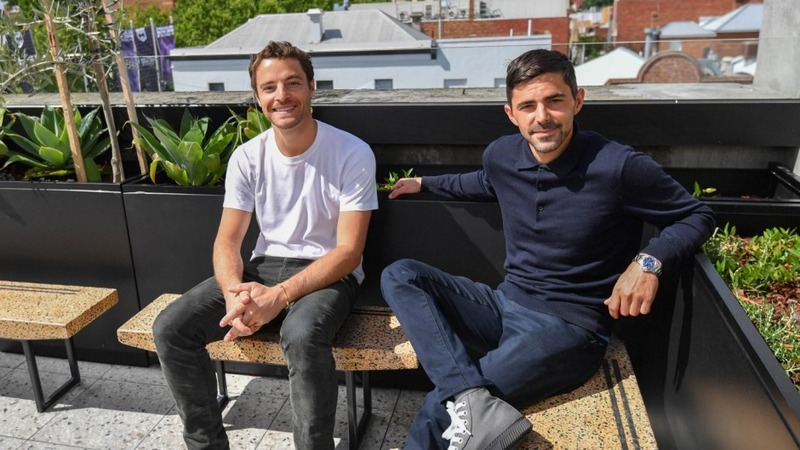 "McDonald's wanted the lease downstairs and a few members of the family said 'Just do it' but we thought we kind of owed it to Lygon street not to," says Sbardella. "There is a particular fit we want to have here we want to create that cultural feel for the area bringing in new blood and like minded businesses." The King & Godfree building takes up almost half a block on Lygon street and spans 1500 square metres of retail and dining space and 1200 square metres of office space. The redevelopment includes reopening the private King & Godfree lane to public use and Universal Music, Studio Round and Karla Dawes Press Office have been signed as initial office tenants. The new King & Godfree will open in the first week of December and will open daily offering a range of Italian deli items alongside roasted meats, vegetables, and K&G ready-made meals, the Gastronomia Espresso bar with its large windows facing onto Lygon Street will serve house roasted coffee and simple breakfast dishes in the morning transitioning to cocktails, spritz and cichetti in the evening. Next door the Agostino & Cellar Bar is a wine bar with a bottle shop and a menu reflecting the Valmorbida's northern Italian heritage. The basement wine cellar with its original bluestone rock walls will be used for functions and demonstrations while roof top bar Johnny's Green Room has sweeping views of the CBD skyline and can hold up to 200 people. Street’s Italian food pioneers, helping introduce the likes of parmesan cheese, olive oil and pasta to the wider Australian community. "It was the original business that our parents said we would have forever," says Valmorbida. "Our grandfather’s motto was hard work and common sense get you everywhere, you don't have to be the smartest person in the room you just have to work hard." King & Godfree was the beginning of a dynasty for the Valmorbida family which for years were responsible for Italian coffee giant Lavazza in Australia before relinquishing control in 2015. The family's business interests are varied and through their Valcorp business the Valmorbida's distribute LaZuppa soup, LaGina tomatoes, La Bella drinking chocolate, Plumm glassware, Evian water and Badoit water. However the cousins say in recent years King & Godfree was running at a loss as it faced increased competition and difficult trading conditions.